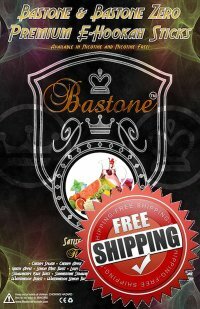 Use Coupon code: freshbastone to receive free shipping on your Bastone hookah order. 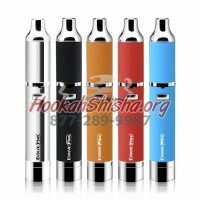 From the Manufacturer "We are proud to introduce 20 New Bastone Zero Flavors: Nicotine Free E Hookah Stick Disposable flavors: Apple, Blueberry, Grape, Strawberry, Vanilla,, Cherry, Watermelon, Tropical Blast, Peach Mango, Strawberry-Kiwi , Chocolate-Mint, Watermelon-Lemon, Strawberry-Banana, Lemon-Mint. We have worked on these flavors for the last 12 months to develop full bodied tastes that mimic the real Hookah smoking experience. We have produced the best product of quality and taste, which is spreading across America; in Convenience Stores, Smoke Shops, Gas Stations, etc... with our 5-Second Shut-Off Feature, and up to 500 Puffs, you are sure to have an enjoyable experience. If the hookah stick is inhaled for longer than five seconds, it will Automatically shut off. This, along with the sleek and stylish look of the Bastone Hookah's has quickly help to make them into the new craze!